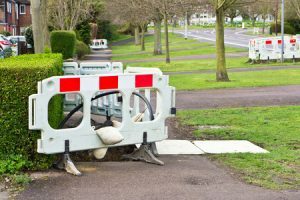 How much compensation can I claim against the council local authority? Have you been injured in an accident that was not your fault? Do you think the council could be to blame? This could well be the case if they are responsible for the area in which you were injured, be it at a local school, while taking a work, or while working at local council offices. From trips and falls to vehicle accidents, there are so many incidents and injuries that can happen. With our 40+ years of experience, there is no one better to secure you the compensation you deserve. We have helped many people in your position, and we are certain there is no one better to help you attain the maximum payout on offer. To find out more, all you need to do is read on. What can be claimed for when launching a case against the council or local authority? How much compensation will you get from the local authority or council? In this guide, we will tell you everything you need to know about making a claim against the council or local authority. If you have been injured while walking on a pavement that’s deemed council property or while in a council-controlled public space, and the accident was not your fault, there is every chance you will be entitled to compensation. But, how do you go about seeking it? How much compensation for a fall or trip accident? What evidence do you need to gather? This guide will reveal the answers to those questions and much more. You will also find our contact information at the end of the guide should you still have questions or you wish to begin the process of claiming. If you’ve been injured in an accident, and you feel that your local authority or council is to blame, you could be eligible for compensation. This could be injuries that have been sustained due a pothole in your local area or due to an accident that happened while in council-controlled space. If you’re unsure whether the council is liable for the area in question, this is something we can easily help you to determine. Nevertheless, in most cases, if it is not private or commercial land, it will be the council or local authority’s responsibility. Going to see a doctor – There is only one place to begin, and this is by going to hospital for your injuries. Even if your injuries are minor, please make sure you see a doctor. Of course, this is critical for your health, but also for your claim too. With a professional medical report, you are going to really struggle to make a compensation claim. Get witness contact details – Did anyone witness the accident? If so, get their contact information. Their account will really help to strengthen your case. Take photographs – If there is any visible damage at the scene or your injuries are visible, you should take photographs. Keep a record of what happened – It is important to make a note of what happened, as well as keeping a record of all expenses you have encountered due to your injuries. Keep any proof of these costs too. Injuries due to poor maintenance – This could be anything from burns due to faulty pipes at council premises to head injuries because of a piece of school playground equipment breaking. Car accidents – When the council is responsible, this is usually due to traffic light malfunctions or potholes. Workplace injuries – From inadequate training to poor maintenance, there are many reasons why council employees could end up being injured. Slips, trips, and falls – Claims for slip, trip or fall compensation are undoubtedly some of the most popular. This could be caused due to an uneven pavement repair or inadequate signage by roadworks. In order to make a claim against the local authority or council, you need to prove that they are to blame for your incident. This involves, firstly, showing that they are responsible for the area in question, be it a school, park, or anywhere else. Secondly, you need to prove that their actions resulted in your suffering, for example, they may not have maintained pavements to the standard required or they could have ignored health and safety warnings. We often work on slip, trip or fall claims. There are many different ways such cases can occur. Perhaps you tripped due to a pothole in the road? Maybe you fell because there was not adequate signing warning you about roadworks? No matter what applies, so long as the accident was not your fault, all you need to do is give us a call and we will handle everything for you. You may be wondering how to sue the council for negligence, as it can often seem like a complex procedure, but it does not need to be this way. So long as you work with a reputable and reliable claims company, they will be able to handle everything for you in a quick and efficient manner. All you need to do is make sure you follow our advice regarding gathering evidence, and we will do all of the rest for you. We have over 40 years of experience in launching successful compensation claims, and so we know exactly how to handle claims made against the council. You can make a claim against the council if you are an employee. If you feel you have been injured due to workplace negligence, you are well within your rights to seek compensation. We have launched many compensation claims against local councils on the behalf of individuals that work for them. After all, there are numerous ways your employer could be in breach of the health and safety legislation that is in place. This includes inadequate training, failure to carry out risk assessments, and failure to implement suitable safety measures. You may fear that you are going to end up in trouble with your boss if you make a claim, but this certainly will not be the case. If there were to be any repercussions, you would only end up with further grounds for legal action. When it comes to council negligence cases, injuries can differ in severity significantly. It is the severity of your injury that will determine how much compensation you receive. Your original injury will be taken into account, as well as the pain experienced, your prognosis, the future outlook, the treatment that has been recommended, and any medication you have been given. You can also claim compensation from council for stress and any other psychological injuries you have sustained. If you are thinking about suing your local council, the claims process is really easy. All you need to do is get in touch with us and we will be there for you every step of the way, explaining what is required and helping you to fulfil your requirements. No matter what type of incident you have been involved in, we will start by having a free, no-obligation consultation with you, where we will get to know your case better. This is nothing to worry about; we are only asking questions so that we can advise you in the best possible manner. If you are then ready to proceed with making a claim, we will assign you the best No Win No Fee solicitor based on the ins and outs of what has happened. If needed, we can also arrange a medical for you at a health centre that is convenient. Again, this will be at no charge to you. If you are making a claim against the council, there are a number of different types of damages you may be awarded. Firstly, you are going to receive a payout for the pain and suffering you have been subject to. This is known as special damages. It is calculated based on the medical report that has been put together by your doctor. Secondly, you will receive special damages. This means that you will get a payout for any expenses you have had to fund because of the accident. For example, you could make a claim against council for car damage or for any counselling costs you have had to pay to get over the trauma of what happened. Loss of income also falls into this category. You are probably going to want to know how much money you can get by suing the council for damages. In the table below, you will find details regarding the average council compensation payouts for some of the most common injuries people sustain. If you are looking for a precise figure, i.e. the exact amount you will be awarded if your case is successful, we cannot provide this. In fact, no law firm or professional can. This is because there are so many factors considered when claiming, and every case is different from the next and treated as such. A very minor injury to the back Up to £1,860 This is for back injuries whereby the claimant makes a complete recovery within one to three months. A minor injury to the back £1,860 - £6,000 This is for back injuries whereby the claimant makes a complete recovery within three months to two years. £6,000 - £9,500 This is for back injuries whereby the claimant makes a complete recovery within two to five years. A moderate injury to the back £9,500 - £29,475 Such cases can include soft tissue injuries, muscle and ligament disturbance, and residual disability of a much lesser severity than the next category. A severe injury to the back £29,475 - £122,350 Cases range from disc fractures to the very worst injuries, i.e. nerve root damage and spinal cord damage. A very minor injury to the wrist £2,675 to £3,600 This payment is for claimants that have recovered fully within roughly 12 months. Most of these cases involve soft tissue injuries, or minimally displaced / very minor undisplaced fractures. A very severe injury to the wrist £36,200 - £45,500 This results in injuries whereby the person has experience total loss of function to the wrist. A modest injury to the ankle Up to £10,450 This is a less serious, undisplaced or minor fracture, ligamentous injury, or sprain. A moderate injury to the ankle £10,450 - £20,200 The claimant will typically have suffered a ligamentous tear or fracture, which will result in a less serious disability. This could mean that the person experiences awkwardness while using stairs or they find it challenging to walk on ground that is not even. A severe injury to the ankle £23,800 - £38,050 This is an injury whereby the person has had plates and pins inserted, or they have spent a long period of time in a plaster, or they have needed treatment for an extensive period. A very severe injury to the ankle £38,050 - £53,000 Injuries that classify as very severe are unusual and limited. This includes instances of transmalleolar ankle fractures with lots of damage to the soft tissue. Loss of benefits £5,000 - £500,000 If you have missed work because of the accident you have been involved in, and this has meant that income is lost, you can claim for this. Please note that in some cases it is possible to be awarded more than the £500,000 stated to the left. If you cannot find the injury that pertains to your claim in the table that has been provided, please give our friendly team a call for more information on council compensation payouts. If you have never required legal assistance before, you may not fully understand the No Win No Fee option. Yes, it does do exactly what it says on the tin: if your case is unsuccessful, you won’t need to pay us any legal fees. However, there are some companies that claim to be No Win No Fee, yet they still implement charges if the claim is unsuccessful. You can be sure this will not be the case when you work with us. When we say No Win No Fee, we mean it. This payment structure for council compensation payouts also offers a number of other benefits. It makes the law professional working on your claim accountable for the service they provide, as well as putting your mind at ease that your financial situation cannot get worse due to making a claim. So, what makes our service better than the rest? Well, there are a number of reasons why we believe you should work with us. This includes the fact that Accident Helpline is an accredited law firm, with more than 40 years of experience in the industry. Because of this strong reputation that we have, we are able to secure quicker payouts. We also operate a 24-hour claims line, and we have outstanding client care ratings. Ask one of our 15,000 followers what they think of us, and we are sure they will put your mind at ease. We can also support you no matter where in the UK you are based, or what type of personal injury you are suffering from. And, it is always our aim to secure compensation in a manner that is quick and straightforward yet results in the most money in the end. You can find out in 30 seconds whether you can claim by requesting a call back on our website or by ringing us on 0800 073 8801. You will speak to one of our trained advisors who will be able to assist you in any manner that is required. If they deem your case one that is eligible for compensation, they will pass you onto a specialist that has experience in the type of claim you are looking to launch, which is, of course, a claim that involves suing your local council in this case. This will give you the best chance of securing the maximum payout that is applicable to your case. if you think you are able to make a claim against the local council because of a hazard on a pavement or road, you can use this link to get more information about your local authority. If you want to complain about your council for any reason, you can use this link to do so. This includes if they have not followed the right procedures, failed to provide a service they are meant to, or done anything wrong. All you need to do is enter your postcode. If you live in a council house, you can use this link to make a complaint against the council if there has been damage and they are responsible. For instance, if a contractor working on behalf of the council has caused damage.